The Centre on Tuesday tactically avoided giving a clear reply on the rationale for keeping Muslims out of the purview of the Citizenship (Amendment) Bill, 2016. Trinamool Congress MP in his question number 36 has asked in the Lok Sabha on the rationale for keeping Muslims out of the Bill. “Since illegal migrants enter into India in a clandestine and surreptitious manner and without valid travel documents, accurate data regarding such migrants is not available,” it was a standard reply given by minister of state for home Kiren Rijiju. In fact, this reply is being given in most of the session is any query is being made regarding infiltration from Bangladesh or something related it this. 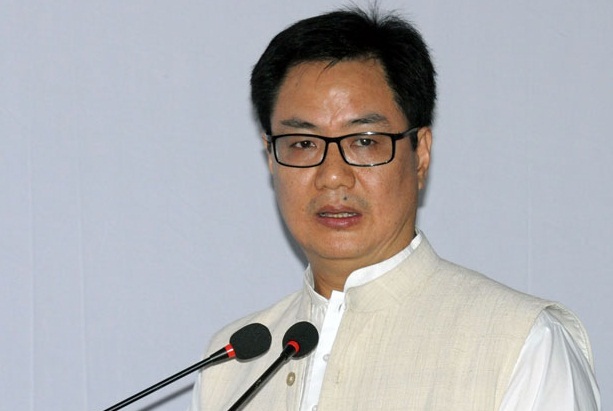 Rijiju further said in his reply in the Parliament that the object of the Citizenship (Amendment) Bill, is to facilitate Indian Citizenship for migrants from those six minority communities namely Hindu, Sikh, Buddhist, Jain, Parsi and Christian from Afghanistan, Pakistan and Bangladesh who have been compelled to seek shelter in India due to persecution on grounds of religion or fear of such persecution and who may not have valid documents. “Legal migrants from Afghanistan, Pakistan and Bangladesh including those belonging to majority community from these countries are also eligible to acquire Indian citizenship irrespective of their religion or date of entry into India if they fulfil the given eligibility criteria,” Rijiju said.